Facebook Inc (NASDAQ:FB) has put its competitor Snap Inc (NYSE:SNAP) on the defensive by copying some of its best features. This imitation caused Snap’s user growth to slow dramatically but increase the value of FB stock. Year-to-date (YTD) the shares are up 38% while SNAP stock is down an equal amount, recently falling 9% in a single day. Facebook seems triumphant against Snap, at least for now. But FB needs to avoid becoming overconfident and resist the temptation to gloat. It depends a great deal on ad revenue, which is seeing growth slowing down. In a previous article, I outlined my reasons for being bullish on the stock. Facebook’s size makes it difficult for competitors to overtake it. A huge portion of the planet uses Facebook every month — more than 2 billion people worldwide. Getting that kind of scale is not easy. But this size doesn’t make Facebook unassailable. The social network could always stumble. This article gives me the chance to discuss some of Facebook’s challenges while remaining bullish on the stock. 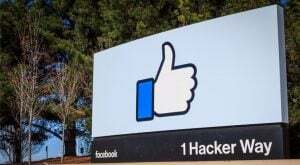 On measures such as enterprise value to free cash flow, Facebook looks more expensive than other major tech companies, with the exception of Amazon.com, Inc. (NASDAQ:AMZN). However, according to Finviz, the market also expects Facebook to grow its earnings per share over the next five years faster than all of these companies except Amazon. Facebook needs to maintain earnings and revenue growth over the next five years to support its valuation. If it slacks, expected earnings growth may be revised downwards, and investors will punish the stock. 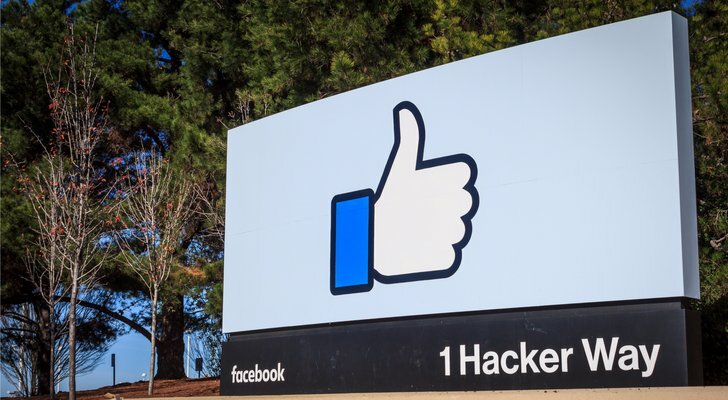 FB doesn’t want to surprise the market with bad news, and top executives have repeatedly warned that ad revenue growth could slow in the near future. Ad agencies have corroborated this, indicating they are buying fewer ads on Facebook. As Recode notes, Facebook is reaching saturation in the West, which accounts for 30% of users but 73% of its revenue (since revenue per user is much higher in wealthier countries). User growth in the West has slowed to 1% a quarter, which means that Facebook will have to work on increasing revenue per user. Facebook has responded to the potential ad sales slowdown by doubling down on advertising. The company began selling ads on Instagram in 2015. Sales grew rapidly, and last year Credit Suisse projected $5.3 billion in ad sales on Instagram in 2017. But so far, Facebook hasn’t done much to monetize its two chat apps, WhatsApp and Messenger. This is changing, but slowly. WhatsApp announced earlier this year that it was exploring a new feature where businesses could contact WhatsApp users for a charge. And Facebook began testing advertising on the Messenger home screen in Australia and Thailand earlier this year. Soon it will expand testing, bringing it to the rest of the world. However, Recode and Techcrunch warned that these ads, which are quite large, are too intrusive. Such ads might annoy users and detract from the user experience. Excessive and annoying ads helped lead to the downfall of Facebook’s predecessor, Myspace. So far, Facebook has avoided this by keeping ads small and relevant to users. But no social network is immortal. I don’t wish to critique Facebook too much. Monetizing Messenger is the right move, and advertising is serving the social network well. On a recent earnings call, CFO David Wehner said that both average ad prices and ad volume increased; by 14% and 32%, respectively. Not only did Facebook sell more ads, but it also charged more for each one. Also, ad revenue rising by “only” 51% instead of 57% is not the end of the world, especially now that Facebook is stepping up its monetization efforts. Also, let’s not forget how FB is doing relative to the competition, namely Snap, which keeps getting hit with bad news. But ad revenue growth appears to be slowing at a time when Facebook depends on them more than ever: 98% of revenue came from advertising in the first quarter. The two problems share a common solution: Developing new sources of revenue growth. One way Facebook could do this is via acquisitions. The company made some smart buys in the past, including Instagram, WhatsApp and Oculus VR. It holds a strong cash position and could spend a few billion dollars buying new businesses that show some potential. They could also seek revenue from payments and gaming, but doesn’t seem to be interested in this, as non-advertising revenue fell in the first quarter. In 2014, Facebook hired David Marcus, the former president of Paypal Holdings Inc (NASDAQ:PYPL), to run Messenger. He’s has integrated payments and e-commerce into Messenger –as expected — but said earlier this year that the social network was not interested in taking cuts of these payments. In my view, they may be leaving money on the table. But this might just be temporary, and they could always change course. For now, though, Facebook’s fate and the value of FB stock looks increasingly tied to advertising. Article printed from InvestorPlace Media, https://investorplace.com/2017/07/facebook-inc-fb-doubles-down-on-advertising-across-its-apps-as-non-ad-revenues-decline/.